Here's another update about what I've been doing... I have a few that still need photos, but hopefully I will get to that soon. Anyway, here we go! 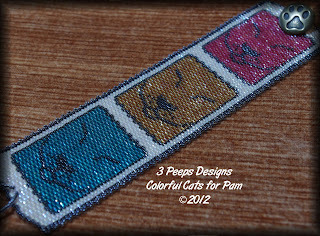 I made this Colorful Cats cuff for my friend, Pam. 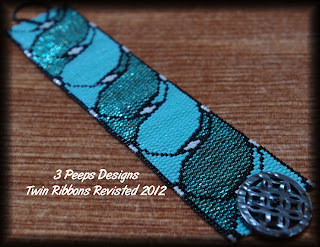 I added a beaded edging to take it up a notch and am glad I did this as I think it gives it a little extra oomph. 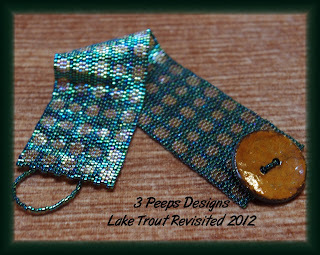 The following cuffs are not total re-do's, I just switched out the toggle for a more suitable button. Also, hoping to give them an extra oomph. Like I said, I still have photos to take of more recent work. I've also added to the number of patterns I have listed in my Zibbet shop. I have more items in the works, a couple of experiments and gifts and I need to make some more of my Paw Print cuffs for my shop. 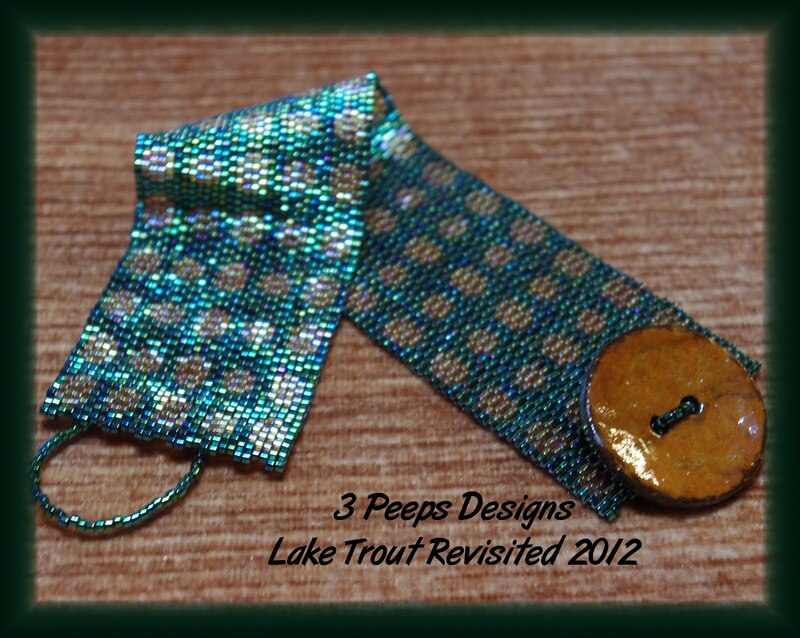 I'd also like to get a couple of my Pit Bull Cuffs made up to have on hand for rescue groups and silent auctions. So, I am keeping busy and I hope to learn a few more techniques this year and do a bit more experimenting. Wow! 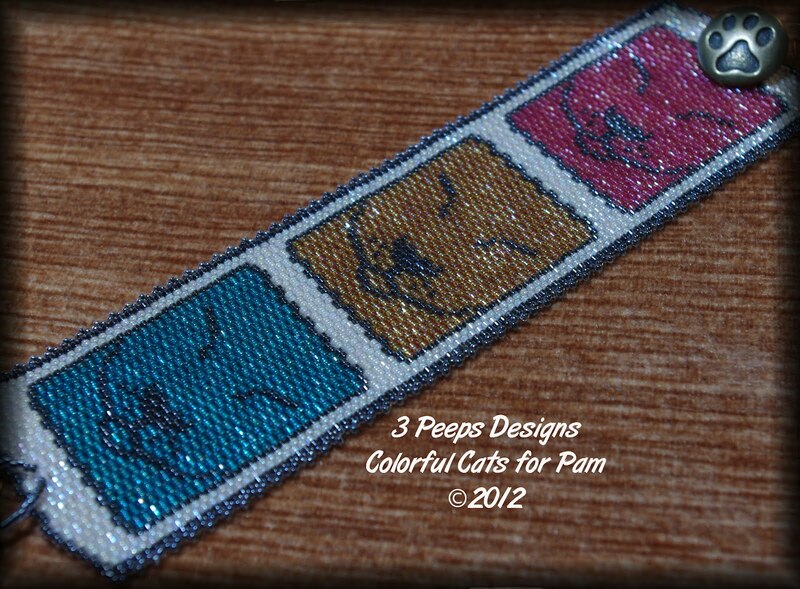 Your bead weaving is fantastic! Just found your blog thanks to a post of a friend on Facebook. Totally love your work! Never tried bead weaving. How would you recommend a beginner have a go? 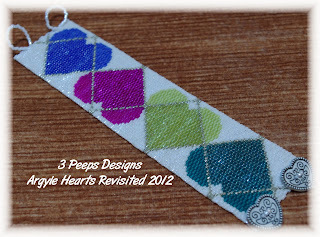 I started originally with square stitch and looming but then found peyote stitch and fell in love. This may make a good blog post, I will make some notes and post one... that way I can include more info. Thank you! It's always really nice to see how an expert does things, although I know taking sufficient photos to illustrate something takes forever! They are all interesting designs. Not only the designs are interesting though. I like your color choices. They allow you to emphasize the lines more. My favorite is the third one and then after that, I like the cats. all because of the lines that you use in each one. 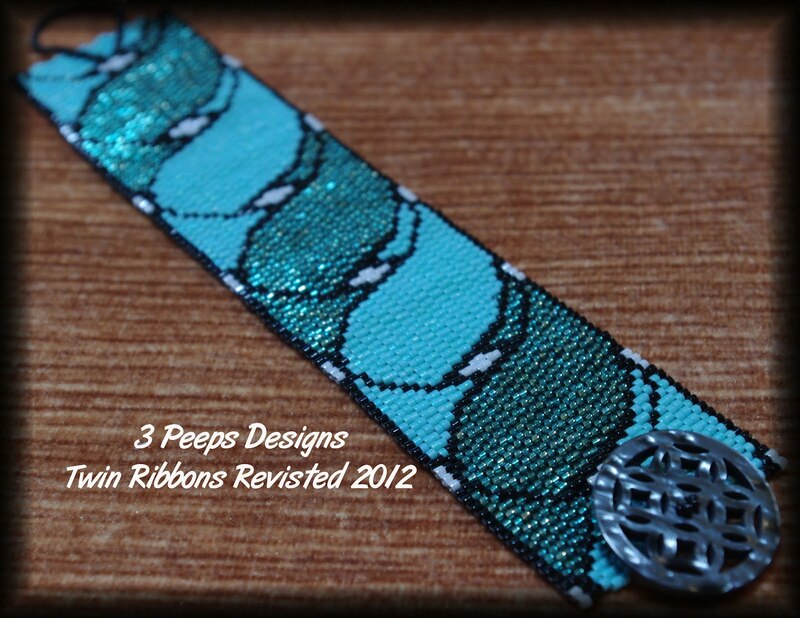 Beaded jewelry allows designers to be so creative. The colors that are available can be utilized to get a wide range of tones. The colors you used here are a good fit for the designs and make the theme of each stand out clearly. I like the one with the twin ribbons. Those little animal faces are cute.